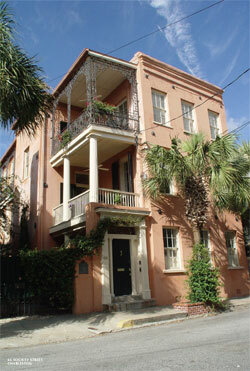 One of the more exciting trends in today's housing market is the conversion of historical buildings into condominiums. These conversions have many advantages. In addition to providing a new home owner with a space that has an interesting history, most spaces are newly renovated, allowing the buyer the best of both worlds. The owner of a condo in a historic building has a home with character, along with the latest and best in modern amenities and design. The renovation of historical buildings for condos is happening in a number of major cities along the Southern Atlantic seaboard. Savannah, Georgia, and Charleston, South Carolina, are two historic cities grabbing onto this phenomenon. Each condominium development has a unique flavor for the buyer seeking a home with character and the best in interior architecture. In Savannah, Georgia, Herty Lofts has recently renovated spaces available. Herty Lofts is a condominium development in the former Charles Herty School. The school was built in 1942 and named after a man who, among other major accomplishments, served as the first head football coach of the University of Georgia. The school was gutted and completely renovated, then opened for sale as condominiums in 2002. The oldest English settlement in Georgia, downtown Savannah has historical homes, modern shopping and a riverfront district containing quaint shops. 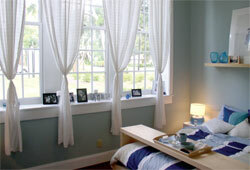 Herty Lofts is located at 1835 Skidaway Road, within five minutes of the shopping district. It-s also located directly across from the Gordonston Historical District, and, if your taste runs to beaches and the relaxed life, the Lofts are only fifteen minutes from the beach. The 17 residential units the building contains are all of the open-loft floor plan, chosen to emphasize a spacious area that is flexible enough for today-s modern lifestyle, yet is simple and relaxing. There are two different floor plans, a one-bedroom, one-bath plan with between 850 and 900 square feet, and a two-bedroom, two-bath plan that runs between 1,050 and 1,200 square feet. Herty Lofts is being handled by Cora Bett Thomas Realty. A one-bedroom unit runs $179,900 and a two-bedroom unit sells for $219,900. Contact Peter Nelson at Cora Bett Thomas, (912) 233-6000 for information. Another example of an urban historical building converted to condos is the Peoples Building in Charleston, South Carolina. Situated on the corner of Broad and State streets at 18 Broad Street, the Peoples Building is in the heart of a historical area that is also the financial and legal hub of the city. Broad Street is not just law, bank, and financial offices, however. The street also hosts numerous art galleries. In fact, on the ground floor of the building is the Martin Art Gallery featuring paintings, jewelry, sculpture and photographs. The Peoples Building ground floor opens into a marble-floored lobby featuring marble facade and Georgian appointments. Above the ground floor are a mezzanine and seven floors of condos, capped by a penthouse. Built in 1911 of granite and brick, the Peoples Building was the first skyscraper ever constructed in Charleston. It still retains touches of its business history, including mail chutes on every floor. The Georgian trim and the marble lions flanking the front entrance announce that the building once held a bank and business offices. Today, the trim and lions add character to the urban historical lifestyle the Peoples Building espouses. 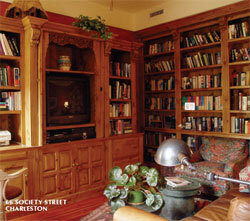 For a different option, 66 Society Street in Charleston is a classic Charleston single house that has been converted into two condos, A and B. Unit A is converted from the main house and unit B is the associated kitchen house. Located on a quiet residential cross street, 66 Society Street is nonetheless within a few moments walk of shopping, businesses and world-class restaurants. 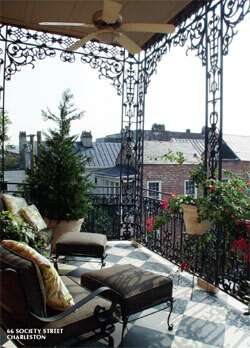 It represents the classic Charleston urban lifestyle in a city where history goes back to the late 17th century. Although the buildings were built in 1846 as a single residence, they have been renovated into modern luxury condominiums in the historic Ansonborough district. Both units feature two bedrooms with two full baths and one half bath. Unit A sells for $1,035,000 and is 2,795 square feet. Unit B, at 3,287 square feet, sells for $1,195,000. Both share off-street parking — vital in a city as old as Charleston — and an in-ground swimming pool. Each unit has three fireplaces. For more information, contact Casey Murphey of Daniel Ravenel Real Estate at (843) 723-7150. 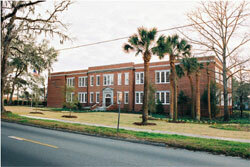 The old Murray Vocational School at 3 Chisolm Street in Charleston was converted to condominiums in 2000. Located in an exclusive residential area along the Ashley River, the building served a variety of purposes, once housing the offices of the Board of Education. The school was named for philanthropist Andrew Buist Murray and was built in 1923 at a cost of $180,000. Today, the school building houses condominium "flats" (apartment style residences) while the school-s gymnasium has been converted to lofts. The lofts were built to incorporate a mezzanine floor and existing 25- foot ceilings. Units feature hardwood floors, state-of-the-art kitchens and baths, and two or three bedrooms with off-street parking.The main building offers a hidden courtyard garden suitable for entertaining. A walk along the colorful shore of the Ashley river is only a few minutes away, while the business and shopping districts of Charleston are about a ten minute walk in the other direction. Across the street, there-s a small park once used to exercise horses and now a favored spot for local school sports and kids just having fun. A loft at Chisolm Street averages about 1,558 square feet with hardwood floors, granite countertops in the gourmet kitchens, and marble accents in the baths with two covered parking spaces. A two-bedroom, two-bath unit sells for around $650,000. Lorraine Feltman of Prudential Carolina Real Estate is handling the property, and she may be reached at (843) 571-7400. Fort Sumter House in Charleston is a former hotel built in the 1920s. It was run as a hotel under various management entities until 1975, when it was sold to Holcum, Fair and Lane. Located at 1 King Street, across from historic White Point Gardens, the building has a commanding view of Charleston Harbor, the Battery and the Ashley River. It was renovated into 60 one- and two-bedroom condos on the second through seventh floors, and business spaces on the first floor. Because of continuing renovation, the building now has 56 residential units on its upper floors and three residential units along with six office spaces on the first floor. Residential units run between $350,000 and $900,000, with the largest condo in the building valued at $2,000,000. While the typical condo is still a one- or two-bedroom unit, the largest boasts six bedrooms with around 4,000 square feet. Condos undergo individual renovation as they come up for sale, and the limit on architectural amenities is limited only by budget and imagination. Fort Sumter House is located at the base of the historic South of Broad district, where it meets the Ashley river. A home owner not only has one of the most beautiful views in the area, they are within walking distance of a myriad of restaurants, shops, galleries, and museums that attract tourists from all over the world. 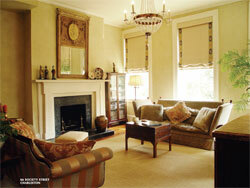 While it isn-t for everyone, life in an upscale condominium in a renovated historic building has numerous benefits. Charm and character combine with luxury and comfort in these condos to create a uniquely satisfying and comfortable lifestyle for today-s upscale home buyer.